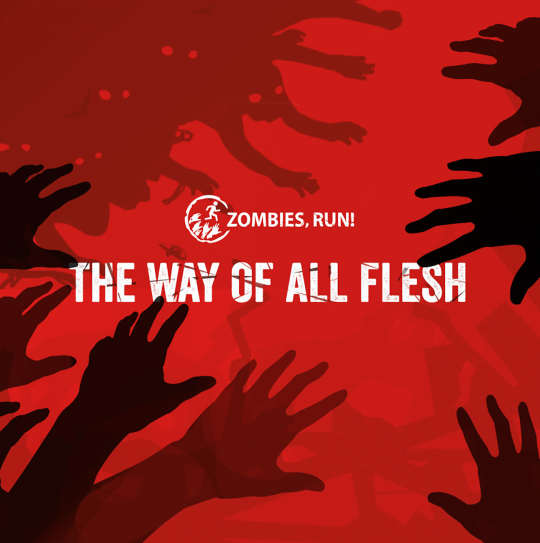 The Way of All Flesh: Listen Now – Zombies, Run! What would you say if we told you we’d made a 90 minute audio drama, written by Naomi Alderman, starring the main Zombies, Run! cast, set during the early days of the zombie apocalypse – before Season 1? Pretty amazing, right? And what if we told you that that audio drama, produced with Audible, will be available for your listening pleasure this month – and many of you will be able to listen for free? Well, it’s true – all of it. It’s called The Way of All Flesh and it’s out now. If you live in the US and you’re an Amazon Prime member or an Audible subscriber, you can listen for free via Audible Channels. If you aren’t a Prime member, you can still sign up to Audible for a free 30 day trial and get it that way! Don’t live in the US? You can buy the audio drama from iTunes or Audible, just by searching for “The Way of All Flesh”. Next Post Final Season 5 Missions – M39 & M40!